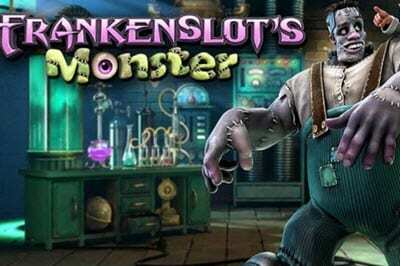 Betsoft has created an exceptional product for gamers who love the horror genre based on one of the most famous horror stories since the beginning of time the Frankenstein and The Mad Scientist story: Frankenslots Monster Slots. Everybody has heard of him thanks to Mary Shelly who created this horrifying monster. His myth is certainly a notorious character, well know in the whole worldwide population, and scaring the living daylights out of people during stormy nights. Luckily for us in Betsoft’s Frankenslot’s Monster, during gameplay the scary monster is our buddy who’s being as friendly as one could be helping us to win. This 2016 release by BetSoft Gaming software includes new gameplay features and addons that follow Frankenstein’s storyline. As the mad scientist gets madder, the more winnings you’ll earn raising your balance and additional features come into play when stormy nights are occurring.